COLORADO SPRINGS, Colorado (CNN)—President Obama continued to show his Olympic spirit with an unannounced stop at the U.S. Olympic Training Facility here on Thursday where he said he “couldn’t be prouder” of all U.S. Olympic and Paralympics athletes. He also took time out to congratulate the U.S. women’s soccer and water polo teams for their gold medals. 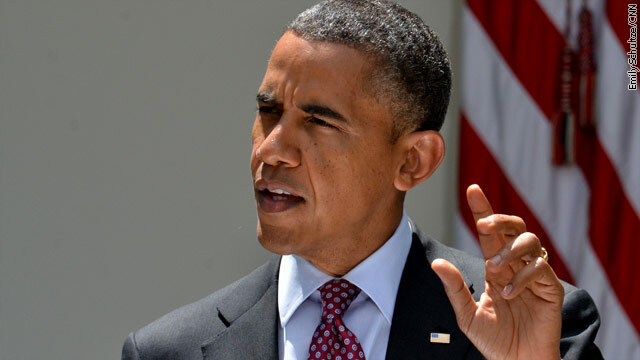 “We have to give a special shout out to the women’s soccer team today avenging the loss in the World Cup,” Obama said. The president told the crowd he had just spoken to the U.S. Women's Gymnastic team which won a gold medal Tuesday night. 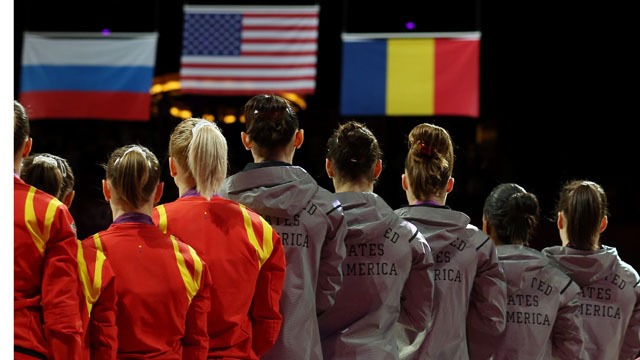 It was the first team gold medal for U.S. women gymnasts since 1996. 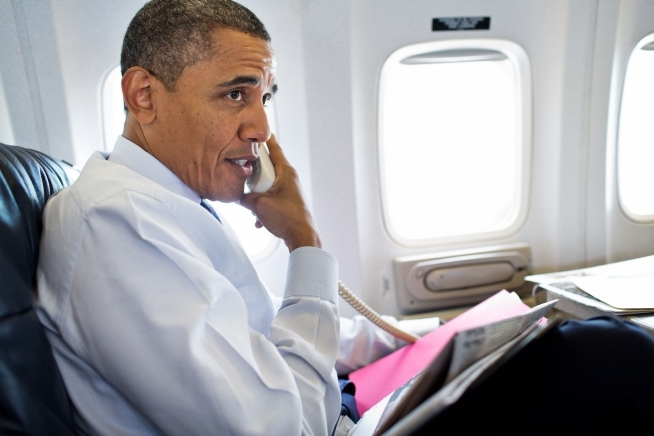 White House Press Secretary Jay Carney said the president spoke by phone from Air Force One to all five members of the team. Carney said the president told Aly Raisman that "of all Olympians, you guys amaze us most." He congratulated Jordyn Wieber saying, "I'm so impressed with how you bounced back and led the team." Mr. Obama told McKayla Maroney "way to nail that vault." To Gabby Douglas, the president said, "You just tore it up. I know how hard you worked to get there." White House (CNN)–As Michael Phelps swam into the history books on Tuesday, becoming the most decorated Olympian of all time, it didn't go unnoticed by the number one fan in the White House. 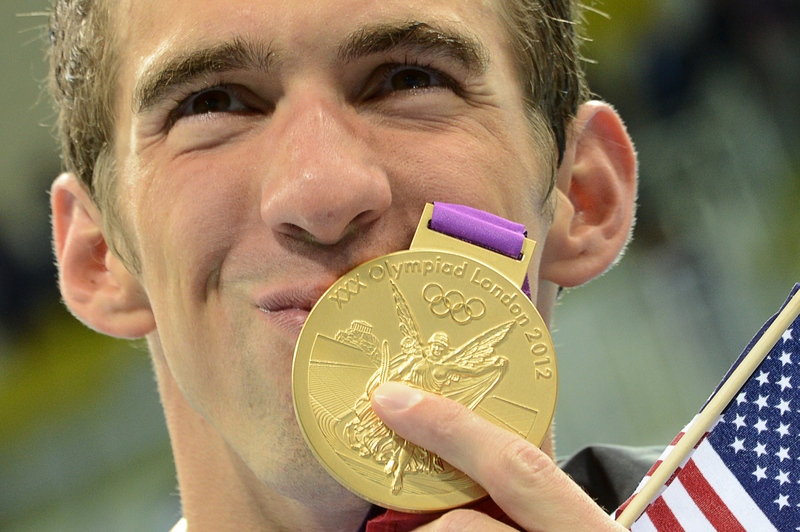 "Congrats to Michael Phelps for breaking the all-time Olympic medal record. You've made your country proud. -bo," President Obama tweeted to his 18 million followers. Phelps, who won his 19th Olympic medal as the anchor of the gold winning USA 4×200 meter freestyle relay team, tweeted back, "Thank you Mr. President!! It's an honor representing the #USA !! The best country in the world!!" An avid sports fan, it's no surprise the commander in chief was watching. 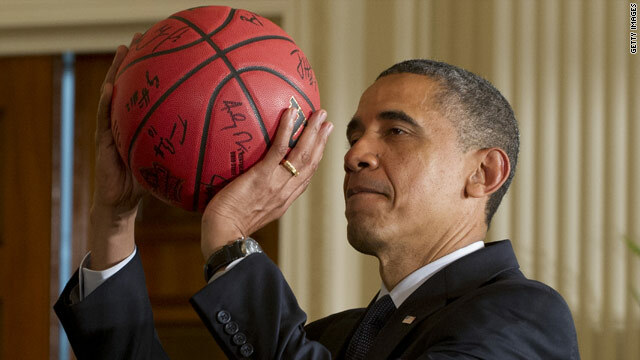 "He is a sports fan, as everyone knows," Jay Carney said at last Friday's press briefing. "I heard him the other day. He's like, 'I love the Olympics. 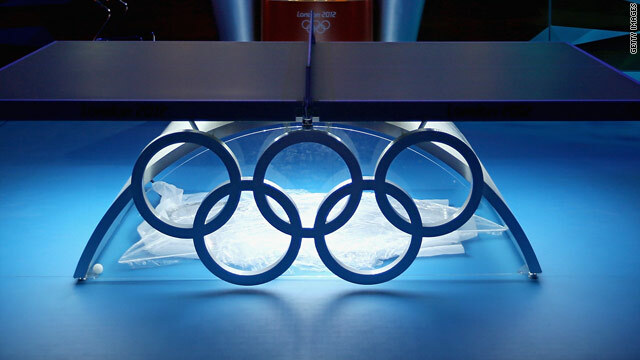 I can't wait for the Olympics to start." The president also appointed First Lady Michelle Obama to lead the American delegation to the London games. 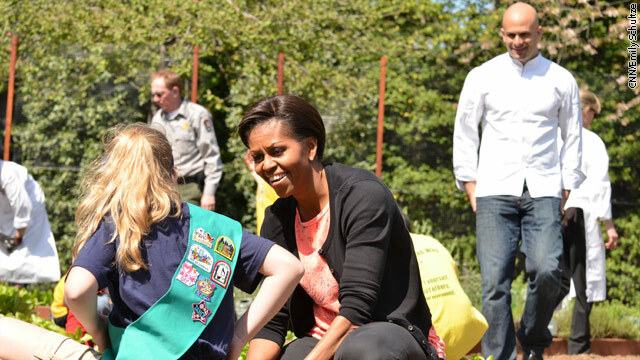 First Lady Michelle Obama talks with a girl scout while planting the White House garden in March. White House Chef Sam Kass watches in the background. 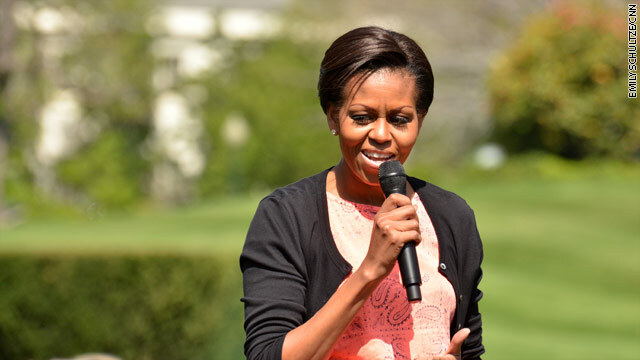 (CNN) – The White House held a conference call on Monday to release the details of First Lady Michelle Obama's visit to London as the head of the U.S. delegation to the 2012 Olympic Games. Joining the first lady as part of the delegation will be former Olympics and Paralympics athletes Brandi Chastain, Dominique Dawes, Gabriel Diaz de Leon, Grant Hill and Summer Sanders. Do you ever wish you had a chance to do something over? Well last night at the USA men's basketball ball game against Brazil President Obama got that chance. 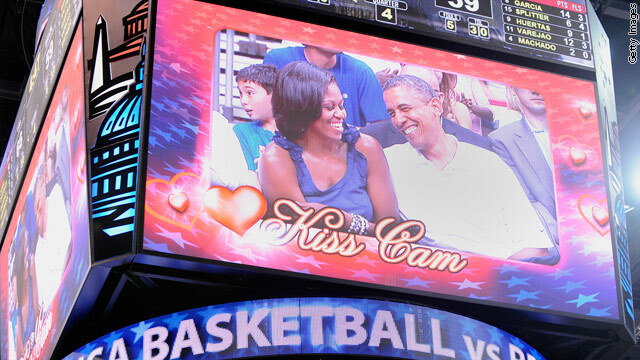 During the first half of the game the Obamas were featured in the arena's "Kiss Cam" but they didn't kiss. The crowd, unhappy that they had been cheated out of a first couple smooch, booed their dissatisfaction. The president had the chance to make it right when near the end of the game the "Kiss Cam" came back to the couple. This time, with daughter Malia egging them on, the president and first lady gave the crowd what they wanted, a big ole kiss. 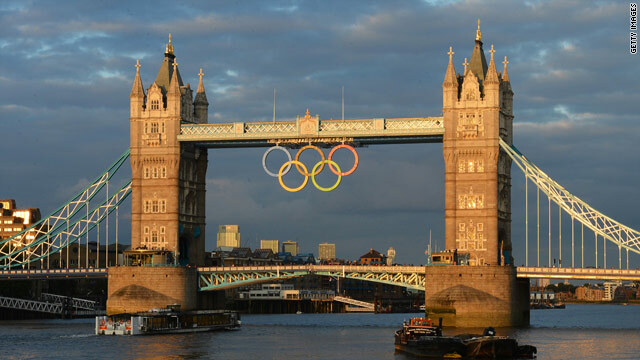 It's official, First Lady Michelle Obama will lead the Presidential delegation to the Olympic games this summer in London. The delegation was announced today and Mrs Obama will attend the opening ceremony which is scheduled for July 27 with five former medal winners including soccer player Brandi Chastain, NBA basketball star Grant Hill.